il fornaio | Where Outside Is In! You are currently browsing the tag archive for the ‘il fornaio’ tag. Get Set for Taste of Reston! 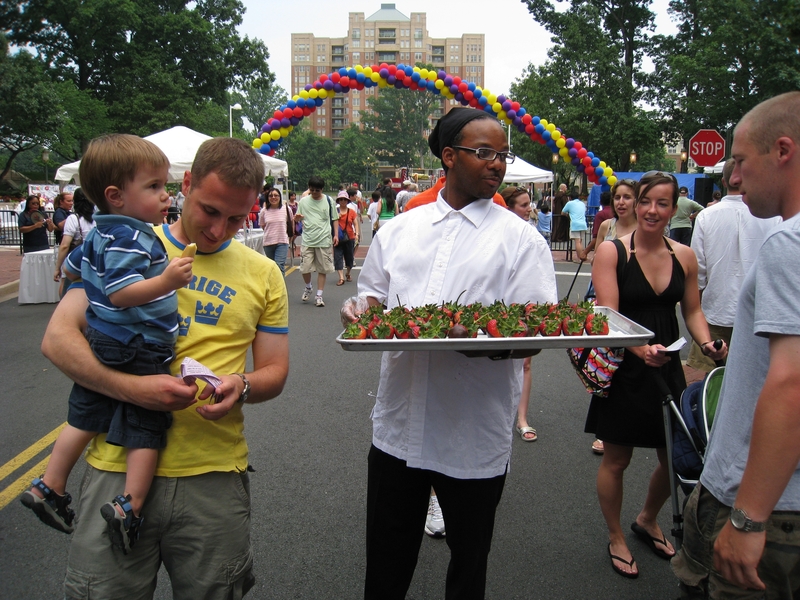 Once again one of Reston’s favorite festivals, Taste of Reston, will be lining Market Street with booths from dozens of area restaurants, live entertainment, kids activities and more! Taste of Reston, Northern Virginia’s largest outdoor food festival, takes place Friday-Saturday, June 17-18 at Reston Town Center. The event features delectable samplings from the region’s favorite eateries, live music both days, beer and wine gardens, fun and games at the Taste of Reston Carnival, competition at the Guns n’ Hoses Chili Cook-off, and lively advice from the Living Well Expo. Brave Contestants in the "Guns and Hoses Chili Cook-off"
In addition to the restaurant samplings, the “Guns n’ Hoses Chili Cook-off” will pit area cops against firemen – the ultimate battle of the heroes – in Reston’s spiciest competition. Together, a panel of five judges vote using the following categories: Aroma, Color, Consistency, Taste, and Aftertaste to determine the “overall best chili”. 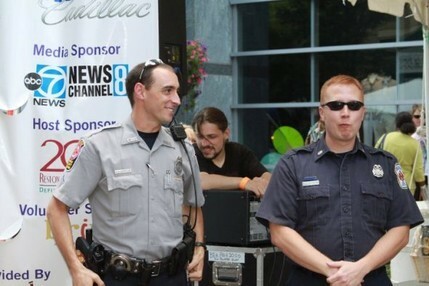 In addition to the award for best chili according to the taste tester judges, Taste of Reston attendees vote for the “People’s Choice.” Last year the cops took it, defeating the firemen in what was certainly a heated battle. Who will take it this year? Will the hoses find retribution against the blazing guns? The Living Well Expo is taking place during Taste of Reston at Reston Town Center! Presenting entertainment for families and children, exercise and cooking demonstrations, a Smoothie Shakedown, and Radio Disney! In their second year, they are the area’s first regional Health Expo, showcasing local and regional health organizations that will inspire you and your family to live well! 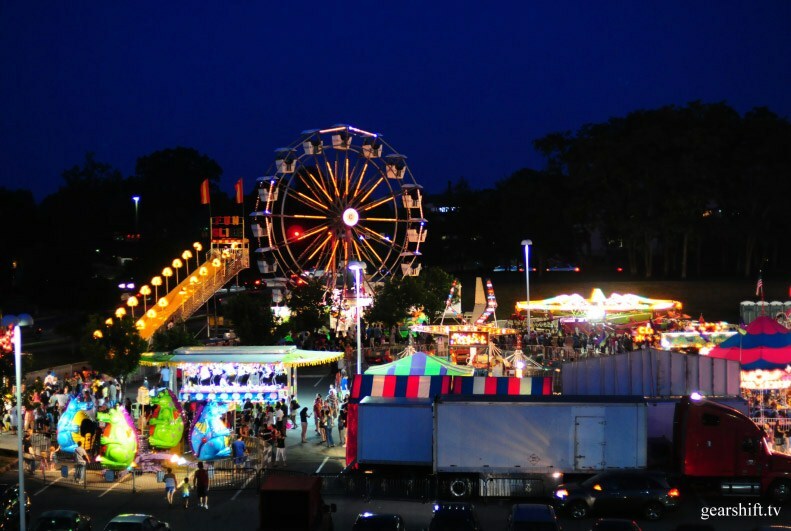 Everyone’s favorite carnival will also be returning to turn up the fun for both the young and young at heart! Wind your way over to the festivities featured in this fun-filled festival zone to take a spin on your favorite ride. Carnival tickets are available on site and cost $1 per ticket, or $20 for 24 tickets (each ride takes 3-5 tickets to ride). Take advantage of the carnival bonus day on Sunday, June 19, open 10am-8pm and purchase an unlimited access wristband for $25. Restaurants include: American Tap Room, Big Bowl, Cookology, Vinifera, Jackson’s, Mon Ami Gabi, Clyde’s, McCormick & Schmick’s, M&S Grill, Il Fornaio, Obi Sushi, Finnegan’s, Flippin Pizza, Jimmy’s Old Town Tavern, Paolo’s Ristorante, The Counter, Melting Pot, Mamma Lucia, Buffalo Wing Factory, Milwaukee Frozen Custard, and more! On Friday, June 17, 5:30-10:30pm, The Fabulous Dialtones will entertain from the Town Center Pavilion. On Saturday, June 18, 7:30–10:30pm The Texas Chainsaw Horns will be lighting up the stage. The Family Fun Zone! will feature fun activities, interactive games, demonstrations, and arts and crafts for all ages. Here’s your chance to try something new, or visit one of your favorite dining locations. To view a full list of dining options at Reston Town Center, view our dining guide. Once again market street will be lined with booths from dozens of area restaurants, live entertainment, kids activities and more during one of Reston’s favorite festivals, Taste of Reston. Taste of Reston takes place June 18-19 at Reston Town Center featuring more than 30 area restaurants, a full line-up of musical entertainment, a kid’s activity tent and, for the first time, a chili cook-off pitting police against firefighters. In addition to the restaurant samplings, the “Guns n’ Hoses Chili Cook-off” will pit area cops against firemen – the ultimate battle of the heroes – this time in aprons in front of chili pots. Attendees can vote for the “People’s Choice” chili. A panel of food writers and critics will determine the “overall best chili”. The event’s masters of ceremonies will be MIX107.3’s Tommy McFly and NewsChannel8’s Katherine Amenta. Restaurants include: Chef Geoff’s, Vinifera, Jackson’s, Mon Ami Gabi, Clyde’s, McCormick & Schmick’s, M&S Grill, Il Fornaio, Obi Sushi, Texas de Brazil, The Melting Pot, Mamma Lucia, Buffalo Wing Factory and Milwaukee Frozen Custard. On Friday from 5:30 until 10:30 pm The Fabulous Dialtones will entertain from the Town Center Pavilion. On Saturday, June 19, from 7:30 – 10:30 pm C.J. Chenier & the Redhot Louisiana Band will perform. The Kid’s Corner tent will feature face painting, games and crafts for children.